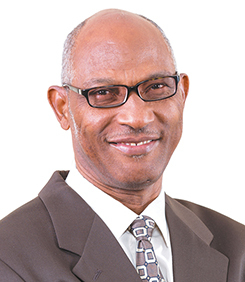 Mr. Raphael Gordon, retired Managing Partner of KPMG in Jamaica and Chairman of KPMG CARICOM, joined the Board of Directors of the Jamaica National Building Society (JNBS) in November 2009. Mr Gordon was appointed a director of the boards of The Jamaica National Group, the JN Financial Group Limited and the JN Bank in February 2017. He is also Chairman of the Audit Committee for The Jamaica National Group, the JN Financial Group and JN Bank, as well as the JN Pension Scheme. He is the Chairman of the Contributory Pension Fund for Jamaica National and its subsidiary companies. A Chartered, Certified and Global Cost and Management Accountant, Mr. Gordon is a former Chairman and Deputy Chairman of Caymanas Track Limited, a former Commissioner, The Casino Gaming Commission; a former member of the Air Jamaica Audit and Finance Committee and the EDP Auditors Association Inc., and is a current member of the Public Accountancy Board; past President of the Institute of Chartered Accountants of Jamaica (ICAJ) and a former Director of the Institute of Chartered Accountants of the Caribbean. He is a former Chairman and Trustee of The Management Services Limited 2004 Pension Fund. He has also served as the Jamaican representative on the Association of Chartered Certified Accountants’ International Assembly. In recognition of his outstanding contribution to the accounting profession and development of the ICAJ, Mr. Gordon received the Institute of Chartered Accountants of Jamaica Distinguished Member Award in 2008.